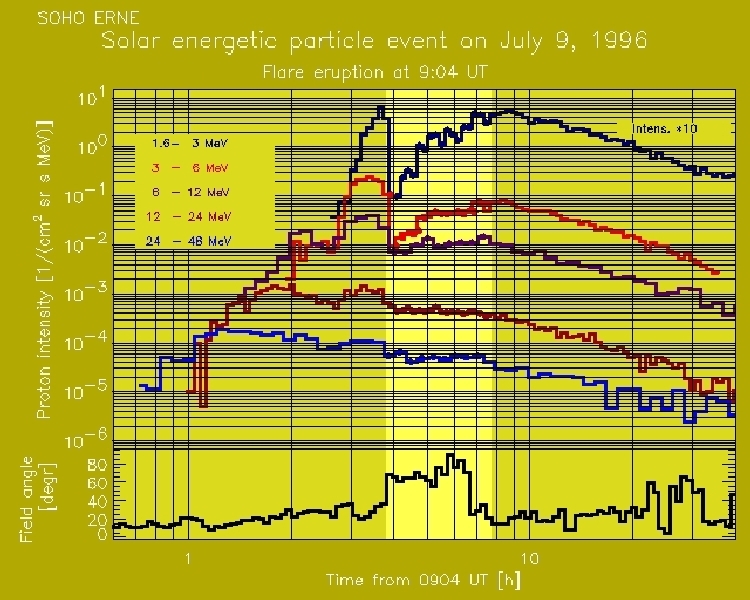 Intensity profiles of protons as observed by ERNE from 9:04 UT on July 9 to 24:00 UT on July 10, 1996. The three lowest energy channels upto 12 MeV represent ERNE/LED observations, and channels above 12 MeV ERNE/HED observations. The intensity in the lowest energy channel is multiplied by a factor of ten. 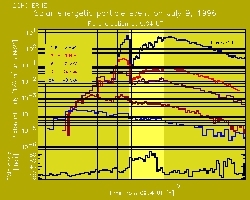 The bottom panel gives the angle between the ERNE sensor axis and the interplanetary magnetic field observed by WIND/MFI. 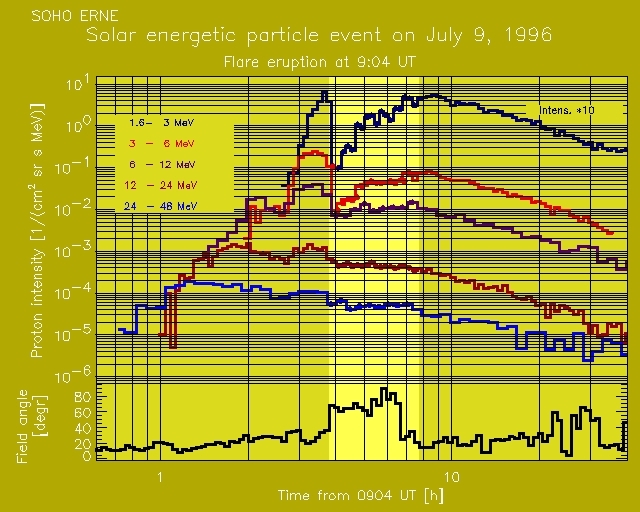 The highlighted area represents a disturbance in magnetic field during the period 12:50-16:00 UT. MFI data is provided by WIND/MFI team.